The family living in this house listed on the San Diego Historical Registry of Homes wanted to add modern convenience to their space while retaining the home’s design integrity and original charm. 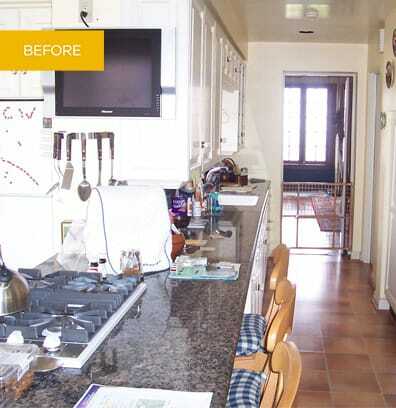 Before the remodel, this beautiful 10,000 square foot home was housing a 150 square foot kitchen. 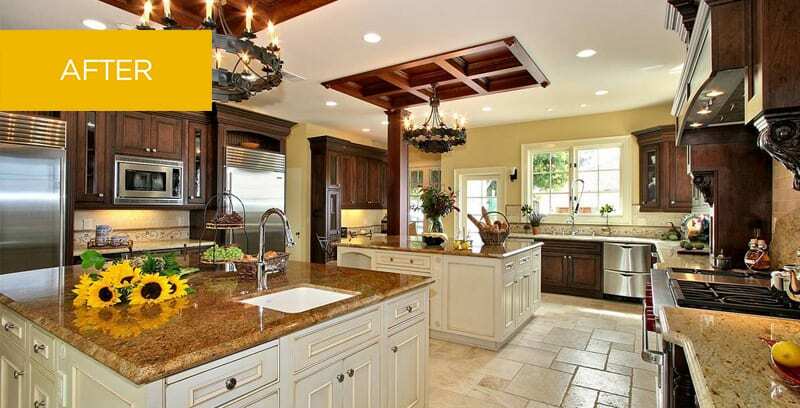 The kitchen was significantly out of place with the importance of the rest of the home, which was built in the early 1900’s by a noted San Diego architect. The clients wanted a kitchen that aligned with the magnificent character of their historic home, both in scale and in design. They also wanted a convenient and welcoming space for cooking and entertaining, both favorite pastimes. We approached this project by studying the details of the rest of the home carefully, and by conducting extensive research into the architectural period when the home was built. We also had to ensure that we were meeting all the requirements of the Mills Act for remodeling historical homes. One of our first design decisions was to expand the kitchen from 150 square feet to approximately 600 square feet. Task, storage and entertaining areas were precisely planned to work within the newly expansive space. Material selection was essential in retaining the home’s character, as was the painstaking craftsmanship of the molding detail. The new kitchen is a stunning environment that melds old world charm with modern conveniences.